April | 2015 | Mediascope, Inc. If your website isn’t mobile friendly, you may be left behind on Google. Google recently changed its ranking system to favor those with mobile-friendly websites that are easily read on smartphones. Some people are calling this Mobilegeddon. A top 1 or 2 website in a search query could hypothetically fall to ninth or 10th place, causing a loss of thousands of dollars in potential business, says Greg Sterling, an independent analyst and columnist for the SearchEngineLand website. Google made the change because so many more people are now using the smart phone as the hub of their daily lives. • Call your website host. Many have tools in place to transition your website. GoDaddy, the top provider of website addresses and hosting, offers a tool to completely rebuild your website to make it mobile friendly, and charges $1 monthly for the service. Competitor Bluehost has a another tool that’s potentially cheaper. For a one-time fee of $25, it’s goMobi tool builds a smaller, mobile version of your site. • Go to a service like dudamobile for a more robust, yet smaller version of your website, with more images and text than through the website builders, starting at $5 monthly. 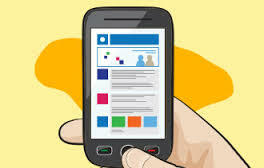 • Get in touch with a local Webmaster to create a mobile friendly site. No matter which way you go, it pays to ensure you have a mobile-friendly website. With all the competition on Internet, Google rankings play an important role in helping your site be found. This week we’re going to wrap up our series on fulfillment services with a look at three remaining — and very important — components of full-service fulfillment: customer service, reporting, and procurement. Repeat business requires complete customer satisfaction. Not only do fulfillment companies need to ship orders on time and in good condition, but successful companies are able to provide an extra level of service. Look for companies which gracefully handle special requests, are prepared for increased holiday order volumes, and offer call centers and online chat services. Reporting is a function of the software the fulfillment company uses. We talked about software in an earlier blog, Fulfillment Services: Order Management. Most softwares offer a wide variety of reports. Are there special reports you’d like to see? Inventory, costing, month-to-month or year-to-year comparisons? If there is a report you’d like to see, check with your fulfillment provider as it may be an option. The procurement process involves more than just the purchasing of materials or products. Typically it involves purchasing or acquiring materials at the right quantity, desirable quality and for the best price. Materials should be from a trusted source and delivered for use at the optimal time. The process also involves procurement strategy, selection of suppliers and supplier networks, and preparation and management of contracts. Procurement is one area that too few companies take advantage of. As business owners or managers, your focus should be on growing sales, not on ordering packaging materials and reordering well-established products. Once you have a supply chain in place for your standard products, why not let your fulfillment company take care of procurement? Who better to know when inventory levels are getting low than the people handling it every day? Do you include advertising in every package sent out? If not, you should. Including flyers which introduce new products, display special offers, and announce upcoming events is an inexpensive way to grow your business. If you use a fulfillment company with in-house printing capabilities, they can manage this for you. Not only can they print pieces on demand but they can make changes as needed for special pricing or promotions. This wraps up our eight-week session on full-service fulfillment. Remember, plain ol’ fulfillment without any of the ala carte services is like a turkey dinner without the side dishes. It may be okay, but the experience won’t be the same. You will most likely need a place to store your inventory. You may also need a place that is willing to accept shipments on your behalf from your manufacturers. Storage options range from an informal self-storage facility where you drop off and pick up inventory yourself to a tightly-run warehousing operation that manages thousands of square feet of inventory, and handles receiving and shipping for you. Storage facilities are available for perishable items requiring refrigeration, temperature-sensitive items requiring air conditioning or heating or, more typically, warehousing providing protection from the elements. Third-party fulfillment services often charge a storage fee based on the product storage requirements and any required special handling. BusinessDictionary.com defines logistics as the planning, execution, and control of the procurement, movement, and stationing of personnel, material, and other resources to achieve the objectives of a campaign, plan, project, or strategy. In the first article of this series, Fulfillment Services . . .so much more than filling orders!, we compared basic fulfillment without any other services to a turkey dinner without anything but turkey. To continue the comparison, it is logistics that turns the simple turkey dinner into the outstanding meal complete with mashed potatoes, cranberry, stuffing, and pumpkin pie. It takes planning and execution to create a mouth-watering, sumptuous dinner where all the food is done at the same time and the quantity is abundant enough to leave everyone satisfied. Likewise in fulfillment, it takes planning and execution to have the needed products on hand, and then fill and ship the orders according to customers’ expectations. It is rare for a fulfillment company to provide its own courier services. In most cases, companies outsource shipping to courier or delivery companies. However, many times fulfillment companies—because of their large shipping volume—can negotiate larger shipping discounts with major delivery companies such as UPS, DHL, FedEx and USPS than small retailers can. Fast, dependable shipping is critical to the success of your online business and your fulfillment company’s top priority should be getting your orders to your customers quickly, accurately, and to their specifications. Most fulfillment companies offer a range of shipping options to ensure the most reliable and cost-effective delivery methods. Options range from overnight delivery to slower, but more economical, forms of shipping. Several options are available for international shipping but be sure to discuss this with your fulfillment provider to make sure they are capable of shipping to (and providing the customs paperwork for) the countries you expect to do business with. 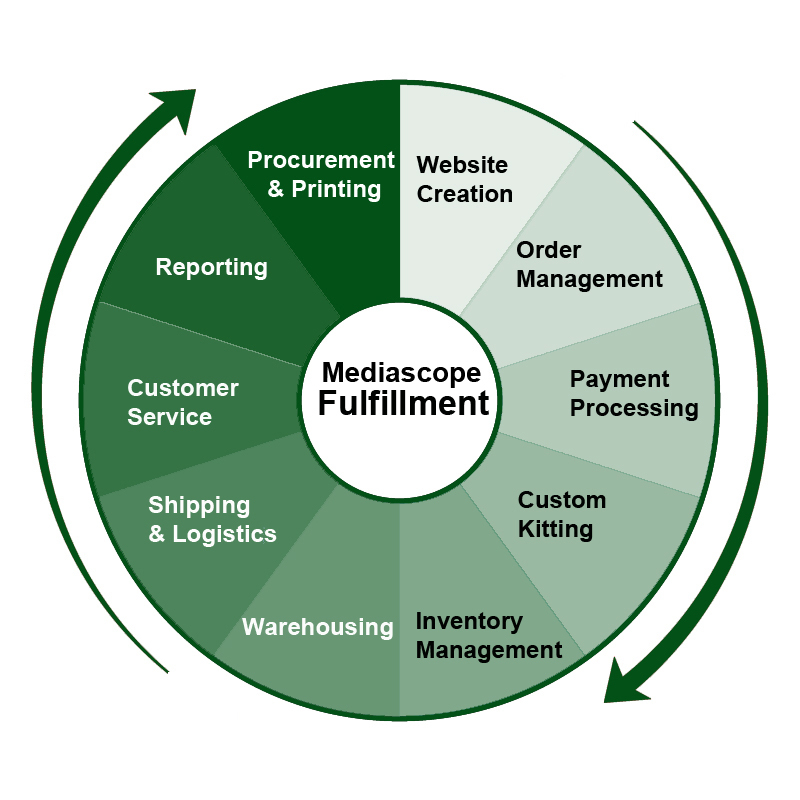 Two other topics to discuss with your fulfillment provider are turnaround time and accuracy rate. Can your fulfillment provider ship out orders the same day they receive them? What is their typical turnaround time? A good fulfillment company will ship out expedited orders the same day they receive them and the remainder of orders within two days of receipt. Also, a good fulfillment company will have an accuracy rate of 99% or better. This means orders are picked, packed and shipped correctly, and to the customers’ specifications. This is important as errors are costly in expense, time, and customer satisfaction. Next week we’ll wrap up this series with a final look at a few remaining pieces of the fulfillment puzzle: customer service, reports, and procurement. Full-service fulfillment providers make fulfillment easy for you and your customers. Today we continue our series reviewing options found at full-service fulfillment providers by looking at Kitting and Inventory Management. Kitting is a process where individually separate but related items are grouped, packaged, and supplied together as one unit. Let’s say you sell children’s birthday party supplies on-line. You sell colorful paper plates, cups, and balloons, each packaged separately in quantities of 12. You also sell paper tablecloths to match the cups and plates. Custom kitting allows your customer to buy one set which contains 12 plates, cups, and balloons, and 2 tablecloths, all packaged together for one price. The benefits of kitting are many. Your customers have an easier ordering experience as they order only one set instead of four different items. You save money. Rather than paying for the picking of several items, you pay to have one item picked. You will pay for the kitting but it is usually less than the cost to pick several items. Then, depending on your pricing model, you may be able to pass on part of the savings to your customer, making them happy. Kitting also allows for faster picking and shipping of orders when sets are pre-packaged and ready to be picked. Inventory Management allows you increase your inventory accuracy and customer service levels while, at the same time, reduce your carrying costs, labor costs, and inventory write-offs. gain real-time visibility into your inventory to guide swift and accurate decision-making. create flexible controls, inventory tracking, and low-inventory flagging systems to reflect the unique way you do business—today and in the future. strategically track all your demand requirements to maximize your customer service levels. design flexible storage plans, track the physical location and transfer of items, and maintain lot and serial controls for simplified material logistics. increase labor productivity and inventory accuracy by selecting your preferred automated data collection solution. simplify third-party label formatting and printing by creating label-specific files of your bar code data. Print bar codes on standard reports for easy reference. Enter and maintain costing information quickly and easily, and use that information to calculate appropriate valuations easily. Custom kitting and inventory management are two additional services provided by full-service fulfillment professionals. Next week we will look at Warehousing, plus Logistics & Shipping. 1) Keep your home address off your GPS. An identity thief or burglar who steals your GPS can find your home and, if you store your schedule on the same device, know when you will be gone. 2) Do not respond to suspicious texts. Contact the sender by phone for verification before sending any information in response to a text. 3) Store contacts by first name. By listing contacts as Dad, Wifey, etc., you’re inviting a thief to contact them for personal information. Would-be thieves can quickly contact unsuspecting contacts with questions like “What’s our bank PIN again?” before anyone knows your phone is missing. 4) Delete personal data. If you plan to sell your phone, be sure to remove photos, passwords and contacts. If you are unsure of how to do that, take the phone to your network provider and ask for assistance. 5) Only download ringtones from reputable sites. Thieves may create phony sites to capture personal data. 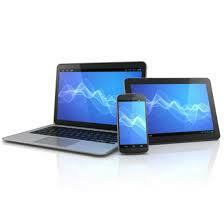 6) Carry electronic devices separately. A purse, cell phone, and GPS make a great combination for a thief. 7) Keep your phone locked. Many people don’t, which only makes it easier for a thief to get at your information. 8) Don’t share too much information on social networking sites. For example, don’t list your full birthdate or your address. This is key information thieves use to set up false accounts in your name. Also, don’t post vacation photos until after vacation. Why advertise an empty house and easy access to mail possibly containing personal information? As our electronic devices get smarter, we humans also need to get smarter in how we protect our personal information. Many people think identity or data theft will never happen to them, but chances are you already know someone who has had their personal information stolen or used by thieves. Take a few easy steps now to help keep yourself from being the next victim. Today, we are continuing our theme of looking at services provided by full-service fulfillment companies. Today’s topic is Payment Processing and PCI Compliance. Payment processing is an area of order fulfillment with fewer, but considerably more tricky, options than we talked about in the Order Management article last week. Some fulfillment providers simply do not get involved with payment processing because of the risks and regulations. A website owner needs to decide what forms of payment to accept. The most common options are checks and credit cards although options have expanded to include digital cash, smart cards, electronic checks, and other technologies. We will talk more about these options in a later blog. Credit card payments are accepted through either merchant accounts or through third-party providers (also known as payment gateways) such as PayPal, Authorize.net, or Intuit. Both options have merit and the costs vary greatly according to provider and volume of orders. Being involved with payment processing means that a fulfillment services provider must be compliant with a standard called the Payment Card Industry Data Security Standard (PCI DSS). The standard was created to reduce the potential for fraud by increasing the controls around cardholder data. Annual validation of compliance is mandated for large processors. Install and maintain a firewall configuration to protect cardholder data. Not use vendor-supplied defaults for system passwords and other security parameters. Encrypt transmission of cardholder data across open, public networks. Use and regularly update anti-virus software. Develop and maintain secure systems and applications. Restrict access to cardholder data by business need-to-know. Assign a unique ID to each person with computer access. Track and monitor all access to network resources and cardholder data. Regularly test security systems and processes. Maintain a policy that addresses information security. PCI compliance is an important conversation to have with a fulfillment services provider. What steps are being taken to protect your clients’ information? Is data sent only over secure ftp sites? Are computers monitored for malware? Is staff trained to handle confidential information? Data breaches are serious, and the security of customer payment data is directly related to the image of your brand, the retention of your customers, and the sustainable profitability of your business. Don’t leave it to chance.